Abstract: In this talk I will address issues related to epitaxial growth of Nitride Semiconductors and the applications of these materials to optoelectronic devices. In particular I will discuss UV and blue-green LEDs, based on multiple quantum wells (MQWs) or quantum dots (QDs) of the AlGaN and the InGaN systems. The physics and benefits of using textured QWs in LED structures based on these polar materials will be addressed. 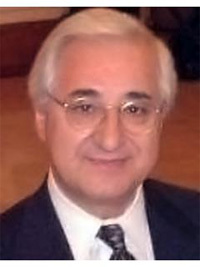 Biography: Theodore D. Moustakas has been a Professor of the Electrical and Computer Engineering Department at Boston University since 1987. He has also been a Professor of Physics since 1991 and a Faculty Member of the Center for Photonics Research since 1994. He received the B.S. degree in Physics from Aristotle University (Greece) in 1964 and the Ph.D. degree in Solid State Science and Engineering from Columbia University in 1974. He held research and visiting faculty positions at Harvard University, Princeton University, Massachusetts Institute of Technology, Aristotle University, IBM T. J. Watson Research Laboratory and Exxon Corporate Research Laboratory.